In this interview the process of “dis- identification” is discussed, and issues such as “will”, “height psychology”, “psychological functions” and personal “identity” are considered. Abstract. An interview was conducted in Florence, Italy, April 1974, with Roberto Assagioli, originator and developer of Psychosynthesis. 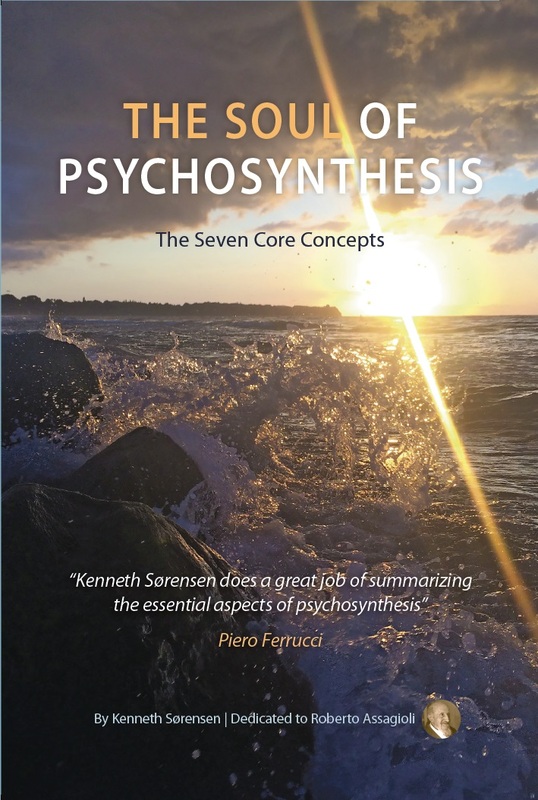 The concepts of Psychosynthesis are briefly described. The process of “dis- identification” is discussed, and issues such as “will”, “height psychology”, “psychological functions” and personal “identity” are considered. The significance of Psychosynthesis for humanistic psychology, psychotherapy and education is assessed. When I first wrote to Dr. Assagioli about training in psychosynthesis, he replied in his letter: “My body has 85 years.” He was an Italian speaking English, quaintly, I thought, for the standard usage is, “I am 85 years old.” But Dr. Assagioli”s reply was quite correct and precise. He was doing psychosynthesis, which is his life”s work. You will see what I mean shortly. I requested this interview with Dr. Assagioli while in the course of training in personal and didactic psychosynthesis in Florence, under his supervision, with his co-worker Dr. Piero Ferrucci. I wanted to ask Dr. Assagioli some questions that were not covered in the Psychosynthesis manual. He read the questions I wrote out for him in advance (Dr. Assagioli does not hear well) and then he asked me to write my answers. (This is his usual policy.) To my surprise, I was largely able to do this, by consulting the manual. After reading those original questions and answers, Dr. Assagioli prepared the following statements, which we recorded on April 12, 1974. The opening remarks focus on certain areas of his thought that are keys to understanding the process of psychosynthesis. Following this are his comments on the scope and practical applications of psychosynthesis, and future directions for humanistic thought and psychotherapy—interpersonal development. Thirdly he takes up the subject of psychosynthesis in education. I asked Dr. Assagioli about the psychology and psychosynthesis of women, and he referred me to an interview with Claude Servan-Schreiber in the first issue of the new journal Synthesis (see bibliography). To my questions about his private life, Dr. Assagioli made no comment. I would have liked to hear him talk about his personal history, but it is clear that his work here and now occupies his time and thought, even at his advanced age. 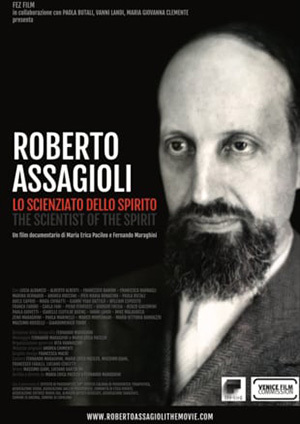 One sees that Dr. Assagioli”s work has evolved from his own experience. He uses the techniques daily. To me he personifies the spirit and vision of psychosynthesis. Many regard him as an extraordinary human being. Warmth, joy, vigour, graciousness and generosity, humour and lucidity radiate from him and permeate his work. Psychosynthesis is based on a conception of the human being, and the human being in relation to others. Through the process of psychosynthesis, the individual eventually attains a dynamic, harmonious integration of body, emotions, mind and spirit. And with this comes the outward active demonstration of dynamic harmony in human relations. In this conception of inner harmony and outward action, psychosynthesis brings together what we have come to think of as distinctively Eastern and Western modalities. On first reading the Psychosynthesis Manual, many remark, as I did, that the content seems obvious. At first much of it slips by unnoticed or gets just a cursory nod of agreement. This is due in part to the deliberate simplicity and unpretentiousness of the exercises and Dr. Assagioli”s verbal style. Perhaps it is due also to what I sometimes experience as dazzlement by the fullness of meaning. Certainly, the fact that it is obvious does not reduce its validity or utility, or its subtlety. On the contrary, we have here a profound comment on the nature of human consciousness: we are apt to disregard obvious truths and simple practices. One needs to listen and to reflect, to hear, to realize the import of this work: discovering the self and Self (BB). Roberto Assagioli: The first question I am generally asked is: What is psychosynthesis and in what ways does it differ from other therapies or conceptions of the human personality. First, it is based on experience; it is empirical and existential in the sense that it has grown out of my own experience and that of others. The description of the results is not a theory. It is a report of subjective experience. Let us make a hypothesis that there is at the center of the human personality a core, a conscious self, which is not the whole personality but only a point of pure self-awareness—the observer of all the contents of the personality. How can this hypothesis be verified? Through a series of experimental techniques! affirm with conviction and to become aware of the fact: ‘I have a body but I am not my body. 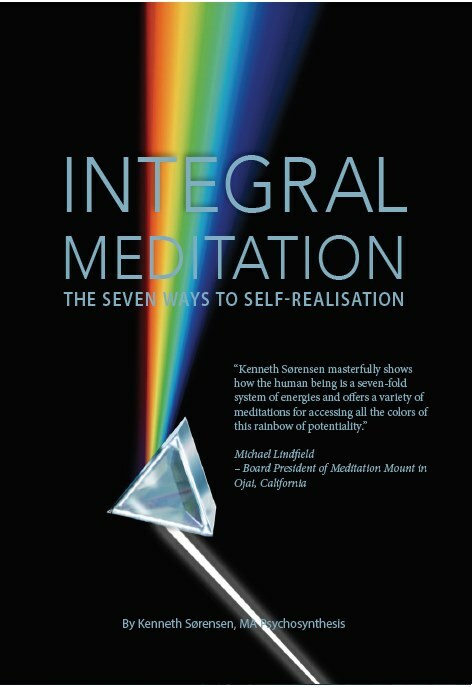 After this dis-identification of the ‘I’ from its contents of consciousness (sensations, emotions, desires and thoughts), “I recognize and affirm that I am a Center of pure self-consciousness…’ (from Psychosynthesis, pp. 116-119). Instead of saying, “I am angry”, say, “the emotion of anger is present in my self, in my awareness”. And the same with the mind. It works all the time, registering many things. But I am not the mind. “I have a mind, but I am not a mind.” What remains? Simply the “I”, the observer of the whole panorama, phantasmagoria, of the changing personal life. Beverly Besmer: That”s a vivid picture. I wanted to point out that the meaning you give here to self- identification and dis-identification is different from some other current uses of the terms. Also, from my experience there is a tendency to overlook the affirmative thrust of the exercise. It”s a simple and amazingly worthwhile experiment. RA: The trouble is that up to now psychologists and others have not made this simple experiment. It is as scientific an experiment as those which they do with rats, or in other ways. Everybody who has honestly and willingly made this experiment has arrived at the same conclusion. BB: Does this bear any relation to meditation? RA: In order to strengthen and make stable the pure self-awareness of the observer, it is necessary to have periods of inner silence, gradually longer, to make what is called the void in the field of consciousness. Then one discovers another important function of the self: that it is not merely an observer, but it can also be active in modifying the personality. That is, it can direct and regulate the various functions of the psyche. It can be a will-er. BB: This brings up the question of the will. The discovery of the will in oneself, and even more the realization that the self and the will are intimately connected may come as a real revelation which can change, often radically, a man”s self-awareness and his whole attitude toward himself, other people, and the world. He perceives that he is a ‘living subject” endowed with the power to choose, to relate, to bring about changes in his own personality, in others, in circumstances. This enhanced awareness, this “awakening” and vision of new, unlimited potentialities for inner expansion and outer action, gives a new feeling of confidence, security, joy—a sense of “wholeness”. RA: The will is experiential. We can become aware of it and use it through experiment. It is there. We have only to discover and use it. BB: So psychosynthesis is a process of discovering the personal self—an observer and willer. RA: A third step in psychosynthesis is the recognition that the personal self, the pure self-awareness at the core of the personality is the reflection of a higher Transpersonal Self. BB: The term “higher” is problematic. RA: Many resent this distinction between a higher and lower self. In the introduction to my forthcoming book Height Psychology and the Self I explain this. Psychosynthesis: Parallel to this (historical) trend (of a two-dimensional psycho-physiological and mechanistic study of human and animal beings from the outside, as objects of observation and description), clinical psychology has been developed—the psychological study of abnormalities…dealing with real human problems and living people, and creating inevitable…a human rapport between patient and therapist… The observation of abnormalities, and especially of what was called first “subconscous” psychological activities… brought to recognition another dimension of psychology, the dimension of “depth” … Thus was made the beginning of a three-dimensional psychology. There are two confusions or misconceptions which have to be clearly recognized and clarified. One is that the denomination of “depth psychology” has been used by several psychologists to indicate both the direction downwards, so to speak, of the lower unconscious, and the higher aspects of the unconscious, which for clarity sake, should be called “superconscious”. A typical example is Jung. …For instance in his doctrine of the archetypes, he includes both archaic primitive concepts and higher ideal models, which bear affinity with Platonic Ideas. Thus when he speaks of “unconscious”, he doesn”t make clear the difference between its various levels. Others too have used the term “depth” in this higher, transpersonal or spiritual sense. …Several mystics, in describing their experiences…speak of the “deeper” Self, the “ground” of the Soul. It is basically a question of semantics, but the “depth” terminology has had the unfortunate effect of confusing the two directions which are not only different but opposite to each other. The denomination “high” and “heights” has been used both in the East and in the West to designate what are called religious or mystical attainments. Mountains were considered to be the abode of gods or higher beings. …and therefore sacred. … Maslow has extensively used the words “low” and “high” in his description of human needs. He speaks of…a hierarchical order (… particularly in Motivation and Personality, p. 97ff.). A general reason for the hostility toward the designation “high “is a semantic one. There is an unfortunate connection between the words “high” and “low” used in the psychological sense, and the moral valuations attached to them. … The word “low” is considered to (denote) something inferior in the moral sense, something to be eliminated or repressed. But this is a false conception. “Low” and “high” can, and often do, designate simply a stage of development. … A very simple biological instance shows this clearly. A child is lower in stature than an adult; a child is at a less evolved stage of development than an adult. But that does not mean at all that the adult, as such, is “better “or “superior’ to the child. Both from the psychological and the moral standpoint, a healthy child is better or superior to a neurotic adult. … The existence of these different stages of development is an incontrovertible fact. As Maslow has well pointed out, there is a basic ambivalence; some are attracted in an exaggerated and even fanatical way… to peak experiences and breakthroughs and insights, and use artificial means to achieve them also, while others are actively opposed to them. And sometimes this ambivalence exists within the same individual. RA: But to please those who have these biases against the Higher Self, now we prefer to speak of the Transpersonal Self, which is a neutral descriptive term, meaning that it is beyond and transcends the personal self. But it is not something different; it is the source of the reflection. For instance, the sun can reflect itself in many mirrors. There are not two suns (in our solar system). It is just the same reality that is reflected at another level of reality. The essential quality is the same. It is always light and heat, however attenuated and colored. But I shall not deal with the Transpersonal Self further because often in Psychosynthesis it is enough to have a clear realization of the personal self. There is much more to say here at the personality level—other points of more direct practical application. BB: I would like to hear about practical applications. RA: Psychosynthesis started and is still used as a therapy for nervous and psychological disturbances and their psychosomatic repercussion on the body. But it is becoming more like preventive medicine. One might call it “mental hygiene’. Another important field of application is that of self-actualization, in the sense of the full activity of the various functions of the personality. RA: A further field of application is that of interpersonal relationships. The individual is not isolated. It is within a network of personal relationships. In psychosynthesis we have developed extensively the study of interpersonal relationships. The first basic interpersonal relationship is that of couples. The original couple is mother-child, the infant. Later comes the man-woman couple. Another personal relationship is that of therapist-client and teacher-pupil. Here it is good to clarify that there can and should be a genuine interpersonal relationship which is not the transference of which psychoanalysis speaks, that is, projecting infantile drives and fantasies on the therapist. This may exist at the beginning. But what can actually be developed is a genuine constructive relationship between therapist and client. The various stages of this interpersonal relationship are described in my pamphlet on “Jung and Psychosynthesis” (PRF Issue No. 19). RA: Then come social relationships, a very important and urgent field of application for psychosynthesis: between individuals and groups, between groups and groups on increasingly larger scales. A good analogy to understand the right relationship is that of the physical body. A biological cell is a tiny individual in itself. It has its own functions. It receives material from the blood and the lymph and it sends out some products. But for healthy functioning it is necessary that the environing membrane of the cell be neither too thick, nor too loose. If it is too thick, the exchanges are difficult or may cease, and the cell dies. If it is too loose, too permeable, then the cell itself disintegrates. So it”s a question of the right kind of permeability. The same happens with individuals and groups, and groups of groups. Now let us imagine that the cell has an individual consciousness and that gradually it becomes conscious of cells of the same kind, and gradually of the organ which they together form, for instance a gland. And then the individuality of that gland expands its consciousness and sees its relationship with other glands, and then with a whole organ like the liver, or the stomach. Then these big groups of cells can become aware that they belong to a whole organism, and that their true purpose and meaning and function is the general health of the whole organism. In a healthy human body, there is a marvelous correlation of these inter-functionings. Unhappily in humanity we are very far from that. But that should represent the model toward which we should work in humanistic psychology: right relationship between couples of individuals, groups of individuals, groups and groups, and ever larger groups until it includes the whole of humanity. 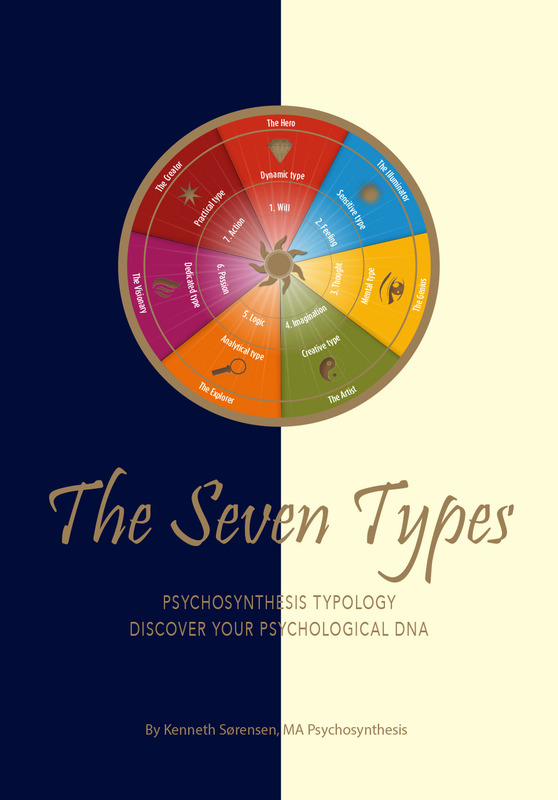 Psychosynthesis can be called, in this respect, a process of development from the individual to the universal through successively expanding groups. And the fine design of the cover of this journal shows it very well. This leads up to the essential identity between the individual and the universal—what we could call the central mystery of life. BB: Are you now refering to the application of psychosynthesis for spiritual or transpersonal development? RA: Yes. There is an essential identity between the individual and the universal. But it is not a realized fact in consciousness. Let me clarify this with an analogy. If a drop of water had a consciousness and expanded it to the sea and the ocean, it would say, “1 am of the same nature and essence as all the water on the globe. They are all hydrogen and oxygen.” But it would be preposterous if the drop considered itself to be the ocean. There are some extreme theories especially in the East that emphasize this identity. Well, at the level of essences they are true. But it is a mistake to relate these theories to other levels of reality and personal functioning. Such phrases as, “I am Brahman, I am The One”, need to be clearly qualified. They may express a metaphysical ontological truth, but the personal self certainly has not reached that level of expansion of consciousness. It”s a difference of development. Like the drop of water, though being of the same essence, it has not developed the universal consciousness of the ocean. BB: I like this analogy so much. It really does make clear the distinction between the personal self, the transpersonal Self, and the universal. In these last comments I think you have also responded to my question on future directions for humanistic thought and psychotherapy. Now I am interested in hearing your ideas on psychosynthesis in education. RA: The application of psychosynthesis in education. These applications would in a sense revolutionize the whole concept and practice of education. There is already a growing movement to consider education not as “giving information”, but as developing the personality of the child or pupil. But one can go much further in that direction: to consider education just as a process of development that is very gradual growth into adulthood and maturity which is potentially already there. Here another analogy can help: that of the seed and the full grown plant, let us say an oak. In the germ there are all the potentialities of the oak. So the educator or teacher has not to bring in something new. He has only to create the most favourable conditions for the healthy development and growth of the seed through the little plant and the seedling to the full-grown tree. That seems obvious, but the practical applications are in a sense revolutionary. For instance, the parent should see in every child an adult in process of development, and therefore treat him as such, as a potential adult—potential—and see clearly the various stages in the child”s development, each of which requires a special handling. The same with a teacher. It is a kind of e-vocation of latent possibilities. And this can be done individually, and in groups, and especially through activities—creative activities of the child and the group of children, which are facilitated by the teachers, but not supplied ready-made by them. And there are all kinds of applications of this. It can be said that education in this sense is a constant experiment, and a constant cooperation between the adult and child or pupil. BB: I like that—cooperation between adult and child. What you say may be obvious, yet where in education is this reflected in practice? Please give us an example of what you mean. That was the chief result. In a sense, the material school was a by-product of the education of a group of young people. BB: That”s a beautiful example. But in schools today, that already exist, the occasion for such a revolutionary enterprise does not often arise. The trouble is, it can”t happen yet because schools and teachers are involved in other work. How can psychosynthesis be used in the classrooms of today? RA: The classroom should gradually become a workshop, that is a place where creative projects are invented and carried through in cooperation. But always with the aim in view that the carrying out of the project is not the main thing. It is only an occasion for developing the full functioning of each participant of the whole group, including the teacher (see figure 1). Of course the application should be very different according to elementary schools, or high schools or universities. So there is opportunity for inventing a great variety of appropriate projects for each unique situation. This is for me both interpersonal development and psychosynthesis. BB: Before we conclude, I would appreciate your further comment on the future of humanistic thought and psychology. Sublimation of Sexual Energies“, in Psychosynthesis, pp. 267-277). I think that those who want peace really should make an extensive study and application of the general principle of transformation of psychological energies, and particularly of the aggressive combative tendency in individuals and groups. BB: May I ask you, what is your objective in doing this interview, and in choosing the line of discussion you have taken? RA: To give a genuine image of psychosynthesis and of its usefulness and application. Assagioli, R.: The act of will (The Viking Press, New York 1973). Assagioli, R.: Jung and psychosynthesis (Psychosynthesis Research Foundation Pamphlet, No. 19, New York 1967). Assagioli, R.: Psychosynthesis: a manual of principles and techniques (The Viking Press, New York 1971). Brown, G. I.: Human teaching for human learning. An introduction to confluent education (The Viking Press, New York 1971). Brown, G.I: I have things to tell (Psychosynthesis Research Foundation Reprint, No. 14, New York 1973). Synthesis: the realization of the self (Psychosynthesis Press, Redwood City, Calif. 1974).